US 27 to Bunning Lane which turns into Granite Spring Drive, Right onto Sandstone Ridge, Left onto Riverrock Way. House is on the right. 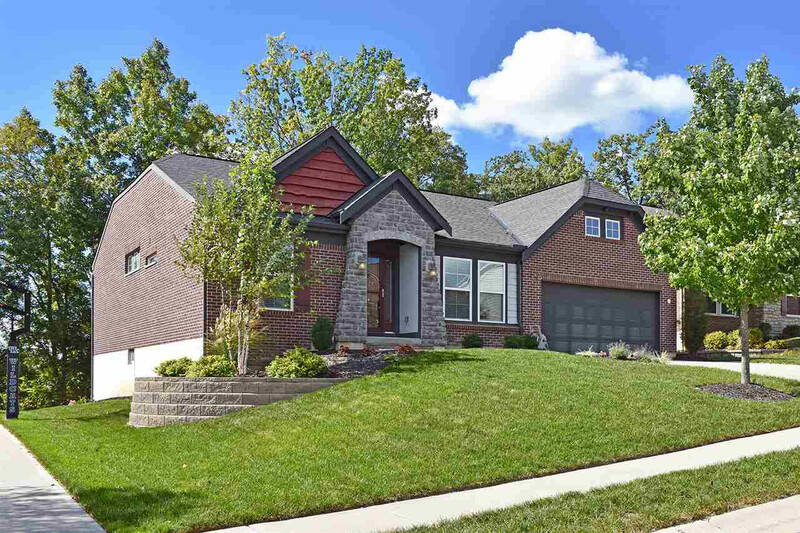 Lovely brick ranch located in Granite Spring Subdivision on cul-de-sac street...convenient to downtown, shopping, dining & NKU! Fischer built home features the Sullivan floorplan & English Manor exterior elevation. This delightful floorplan has an open layout with 3/4 bedrooms, 3 fulls baths, hardwood flooring, transom windows, spacious kitchen with newer tiled backsplash, 1st flr laundry, finished lower level with walkout, bedroom/full bath and spacious storage area, upgraded landscaping, paver & stone walkways, deck & newer extensive paver patio back up to impressive seasonal wooded view!